Nails 4 Dummies! 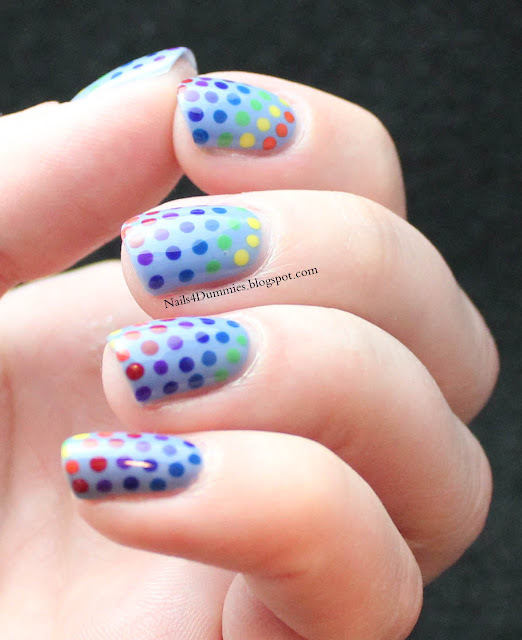 : Rainbow Dots Nails! I love this!! It's really cute. Love how the dots vary on each nail. Gosh this is so adorable! Very well done. Super cute! 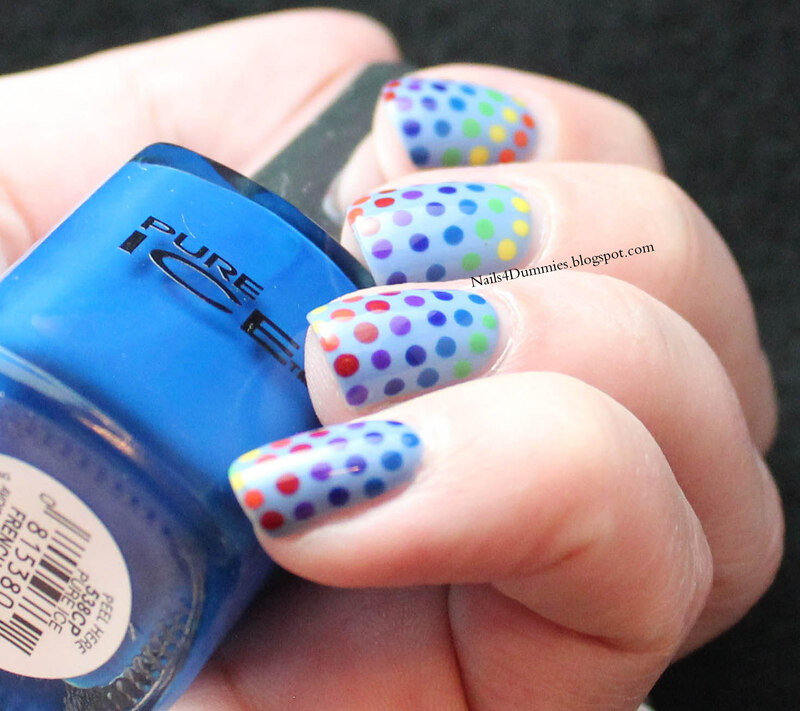 Love rainbows and dots! I love dot manicures, and yet I rarely do them! This looks fantastic, I love the rainbow effect!